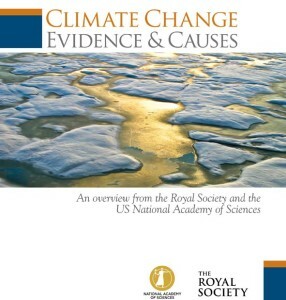 Last week the Royal Society (UK), and the National Academy of Sciences (NAS) released a good PDF booklet called Climate Change: Evidence & Causes. "Climate Change makes clear what is well-established and where understanding is still developing. It echoes and builds upon the long history of climate-related work from both national academies." You can read the background at the Royal Society site, and Carbon Brief provides a synopsis so good I can't add much. But I will talk about the cover. Here is a screen grab. I think it's beautiful. I love the way the golden light reflects on the young sea ice. In fact I think it is so beautiful that we used it on the cover of a book I partially wrote and edited for my employer in 2011. The original is an iStock image called "Polar bear on ice close to golden glittering water". Now that is not what I would call it - but then I wasn't fortunate enough to be in a helicopter at that time of the year, and so I don't get to choose. They actually rotated and stretched it slightly to completely miss the bear - although there are still clearly bear footprints in the version they use. I am sure they did that because they did not want to get into the whole "poor polar bear looking over the melting ice" conversation. 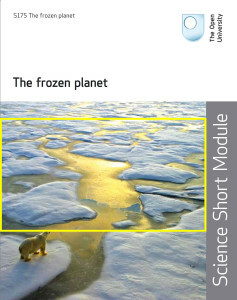 All the way back in 2012 Carbon Brief included "sad polar bear on melting ice" as one of their Nine climate change pictures I really don't need to see again. So why did I use it? To me the polar bear is in its natural habitat. The bear is wandering over decaying sea ice and refrozen melt water. 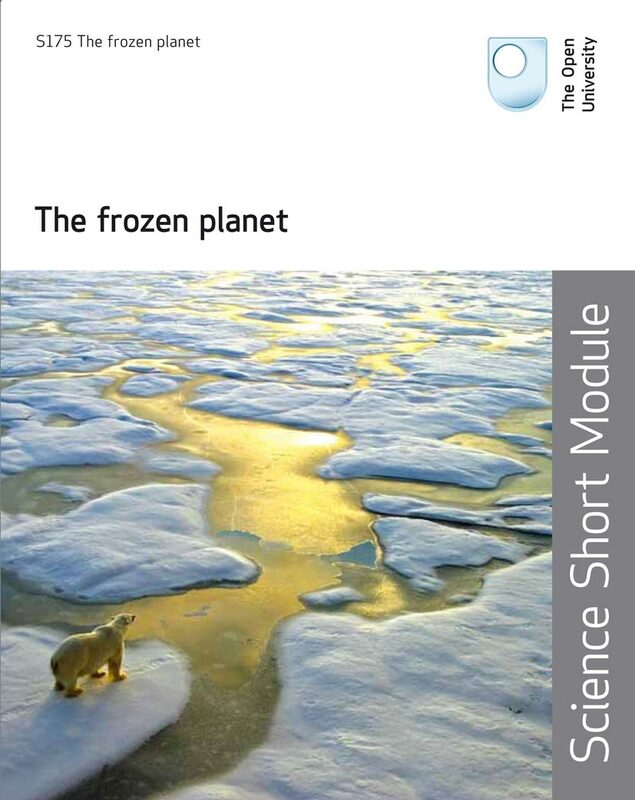 Our book is filled with the science of how and why the ice grows and melts, and what adaptations and strategies the animals use to survive, plus lots of other science. The polar bear's Latin name is ursus maritimus - which in English is "sea bear": open water and ice are part of their habitat. I imagine they chose the beautiful light. In hindsight I think I would have used another image. But only because if you go to the trouble of writing a book, then you would want to keep it special. The problem I had at the time was that I was not very good at choosing any of my own images. The title of the post points to the book Setting Free the Bears by John Irving. It's a book I like and it is about two young people releasing the animals from Vienna zoo after the Second World War. Posted in Science. Tags: Arctic, climate change, Frozen Planet, polar bear, Royal Society, sea ice on March 3, 2014 by Mark Brandon.